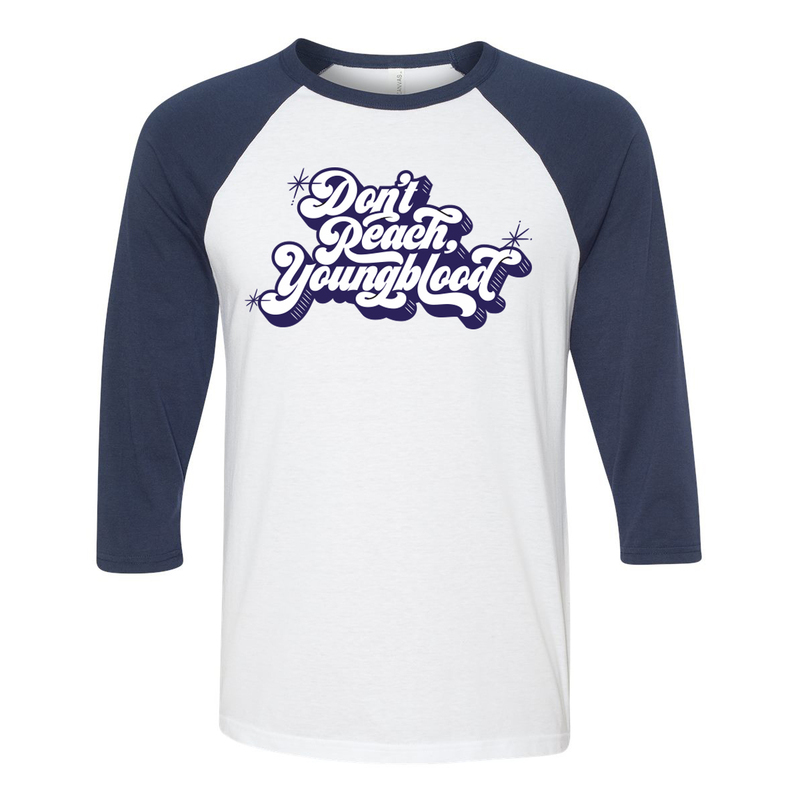 Respect your elders and don’t reach Youngblood! 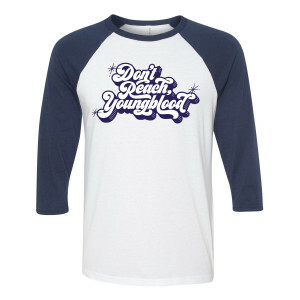 Get the Uncle Drew Don't Reach Youngblood Raglan T-Shirt - this comfortable t-shirt is great for any fan of the movie. © 2018 Summit Entertainment, LLC. All Rights Reserved. Copyright © 2019 ®, ™ & © 2018 Lions Gate Entertainment Inc. All Rights Reserved. ®, ™ & © Lions Gate Entertainment Inc. All Rights Reserved.